Can I give this a rating of 20 out of 10??? Dear Andrea, THANK YOU SO MUCH! I am a special population! 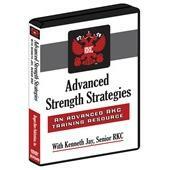 RKC Level II Advanced Training Super-Set—Get all four programs and save $31.00 if purchased individually! How sure are we that Working with Special Populations (DVD) will work for you? 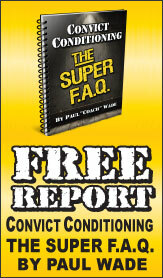 Simply fill out the form below and put Working with Special Populations (DVD) to work for you right now. Obviously, we would go out of business if Working with Special Populations (DVD) didn't work, the way we said, right? With the promise of a full refund if you're unsatisfied, you have nothing to lose by trying Working with Special Populations (DVD). Go ahead and try it today. Most of our RKC instructors—and a very great number of our HardStyle customers—are in frankly fantastic physical shape. In the top two or three percent of the nation. And that is what we at Dragon Door pride ourselves on, first and foremost: promoting the highest level of physical excellence and achievement through the most effective and efficient training methods on the planet. However, just show up to the free lesson at one of our RKC certification workshops and take a look at the 100+ unsuspecting victims who volunteer to be put through the mill by our RKC candidates. You will see folk who range from having 200 pounds of extra lard on them—to spindly, skeletal geeks without a shred of noticeable muscle. You see the halt, the lame, the uncoordinated, the injured, the elderly, the bewildered teenagers—you name it. And what's the commonality for all these folk? Despite their individual challenges, they have all shown up with the hope of transcending their current limitations through the use of kettlebells. The great news is that the RKC program has built a system of expertise that can genuinely help what is known in the industry as "special populations". As a Senior RKC with a multi-disciplinary background and a particular concern for this client-base, Andrea Du Cane has helped hundreds of her clients break through their particular physical challenges—and live more vigorous, satisfied lives. The Level II RKC certification teaches our instructors a multitude of methods to address corrective, preventive and restorative issues for their clients. Andrea Du Cane's thorough and broad-ranging presentation on Working with Special Populations was extremely well received—and, as with the other Senior presentations at this Level II RKC, we have therefore decided to make it available to the public. Of course you don't have to be an RKC—or a "Spec Pop"—to benefit enormously from the wealth of amazing information Andrea shares with you here. The material is priceless, whatever your condition or athletic background. Rated 10/10 Can I give this a rating of 20 out of 10??? I just finished watching both dvds of Working with Special Populations and I am stunned at the amount of high quality information packed into 2 dvds. I got my first kettlebells about 5 years ago and I have just been piddling around with them. I have lost 50 pounds in the process, but I am not satisfied with my fitness level. I am now a 60 year old female, prone to lower back injury, and very timid in my approach to training. I love From Russia with Tough Love and the Goddess dvds, but most of the moves are too advanced for me. You have presented me with the tools to build my foundation. I think the zhealth stretching and the series of small lifts to open the shoulders are fantastic. I am completely energized now to start hard - but safe - training. Perhaps not for the ?hard-core muscled-up' client, this DVD is a taping of a workshop expertly taught by Andrea Du Cane. The focus is fitness and ?special populations?. It is clear from the presentation and drills that Andrea?s background in Pilates, movement, and mind-body fitness takes center stage. Her focus is not on the physically fit, but on the ?typical unfit client? coming from the general population. This would range from the older exerciser (fit) but interested in transitioning to kettlebell training, all the way to your typical couch potato who hasn?t seen his toes in years (but longs to)! For fitness professionals (RKC and others), personal trainers, physical therapists, and the like, this presentation will teach you how to work with ?special populations? ; using the kettlebell as tool for fitness. Andrea?s basic kettlebell drills can ?kill you with kindness? and its clear that even with an audience of well conditioned kettlebell enthusiasts those simple drills can be challenging. Looking through the audience it is not hard to spot Pavel lurking on the periphery offering encouragement and an adjustment here and there as the class performs the exercises. The two (2) DVD set contains a lot of information not only from fitness professionals but also for the clients who will seek them out. If you are older or considering transitioning from ?soft-style? exercise, or have simply been away from exercise and body awareness, then there is something here for you. Again, not for everybody, but for anybody who is interested in an approach to fitness (using the kettlebell); that will take you from where you are to where you want to be? Great 2 disk DVD. The information is nice and simple. Working with those who have limited mobility shouldn't be complicated and the information presented keeps it that way as well as allowing for progression which is good. As a personal trainer and HKC instructor, I'll be using these methods so they can gain better conditioning.